so yeah, as you all know we live in asia now. oh wait, by wee I mean HUGE. Today for instance, I was standing in the cereal isle of a pretty large department store in Kathmandu. it was like 3 stories high and judging from the fact that the cereal isle had like 100 different types of cornflake options, I felt like it must be pretty legit. in a grocery store. with like 200 people. and frozen meat that was no longer being frozen. my first instinct was to yell Kevin's name. which I did. i'm not going to lie, I was kinda freaked out in a cereal isle of a grocery store in the dark. give me a break, when's the last time that's happened to you? ok. now you see my point. and then giggled hysterically at the ridiculousness of the situation. 2) i'm obviously living in another country. speaking of other awkward moments so far, nepal has relegated Kevin to a small little nook on our bed. how is that you ask? well, to begin, I think the idea of "comfort" is pretty lacking here. Why call it a mattress if it feels like you slapped a thin pillow case over a board and called it good? The first few mornings I woke up I seriously felt like I had just carted 50 pound of bricks on my back up a hill...I was sore, to say the least. Sweet Kevin found an extra "mattress" in a little storage room in our apartment, and put it on top of our existing "mattress". The only problem is that the new mattress only covers 3/4 of the bed, so Kevin falls into the little 1/4 crack every night to sleep. I secretly snapped this picture of him asleep in his cubby, haha. Poor guy, however he promises he doesn't mind. we are getting used to being pioneers and using candles to see what the heck we are doing. The first night we slept in our own apartment, the lights went off as we sat down to dinner. I thought..."ahhhh, this is so fun! we get to eat by candlelight....how romantic!". The second night it happened, it still seemed a tad romantic other than the fact that I could hardly see Kevin or what I was eating. The third night, it was just plain tedious. lastly, we had our first language training today. yup, and it was really embarrassing. my mind goes blank when i'm asked a question in another language. I at least learned that much today. sweet Kevin, who is brilliant at languages and is practically fluent after one day, was so precious in encouraging me. I think our tutor thinks i'm nut-so. for all the giggles this new place brings, it has also ushered in a most beautiful community. we've only been here a week, and yet we feel a part of people's lives already. this is divine, and we praise jesus for kingdom people. yesterday we got together with a group and prayed for women being trafficked all around Nepal. and I felt like I was a part of something bigger than myself. so much deeper and higher and lovelier to spend our lives on than just ourself. have a great Wednesday lovelies! Love hearing about how things are going there for you guys! The electricity stories made me laugh out loud :)I will be praying for you guys! blackout in a grocery store? yes i'd freak out! love how you're embracing the changes though. all for His story! I LOVE eating by candlelight! I dont know about all the time though? Lovely update! Looking forward to the next! Okay, honey, you're making me soooo homesick! And you're not even in my country. I just have to remind myself that I only have to wait a few more months and I'll be home again. And Nepali is a crazy hard language. There are a ton of migrant workers from Nepal where I used to live and our church had a large ministry working with them, but I never learned any Nepali so it was just a lot of smiling and waving when I would see them at church or around town! Your attitude is so wonderful Katie...even going through these crazy new "experiences" you still find the "fun" and positive. That is a gift. And I will be praying for you and the language thing...that would be frustrating when you want to learn it so badly and struggle. ahhh i just love reading about whats going on in Nepal! i cant imagine the culture shocks yall are facing... you seem to face them with so much grace! Wow, what amazing stories, Katie! Being in a different country is definitely something... different. :-) Praying for the language learning! I just read your guest post over on All Glorious Within, and definitely had to come over and see who this Katie person is! It's so amazing that you are doing this! Thanks for sharing, Katie! I will pray for your language lessons, and thanks for letting me follow along! Praying for you and your language learning- thankfully it is much easier to learn when you are in the country (albeit stressful). Thanking God also for your patient husband. Ah! I relate on so many levels! Promise you as crazy as things get, it becomes home and He who has called you there is so faithful. Also, as many brick walls as you feel like you're hitting with language, one day you'll have a conversation and not even realize the magnitude of what is happening. Then, after you'll realize all the tears were worth it. Keep going strong..it will come! Lifting y'all up! Love it!!! I can so relate to so many things you guys are going through! Praying now for you guys! Hahaha I loved this sooooo much! Also, I'm about to write you back!!! Love you. Keep writing. You're the funniest and loveliest. Wow!! That really is another world. You are doing SO great. Don't even worry about the language. You will get it!! Love hearing about your adventures so far and so happy you are willing to share! 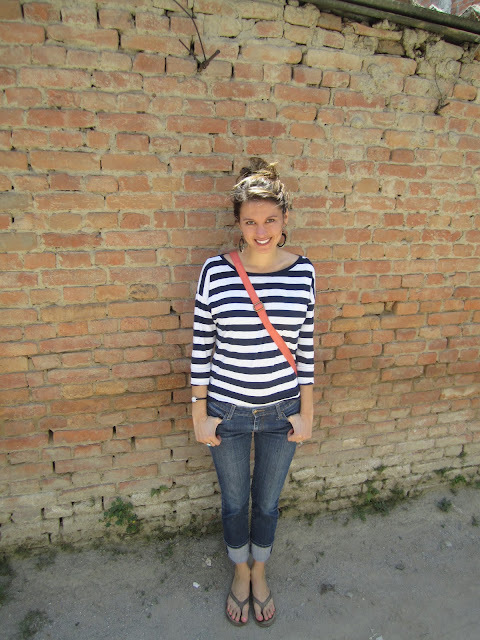 love reading about your adventures in nepal! Language learning is SO humbling!! I just came across your blog from Facebook and LOVE your story-telling! I knew from Davis that you love Jesus and are super funny and honest, but I didn't know you were also a bomb photographer and talented writer!!! Thanks for sharing your adventures with us! If it makes you feel any better... I've cried in language class, too. We're in East Asia for the next handful of years, and I cried just last week! On STINT, my Hebrew teacher reacted to my crying by feeding me vodka and chocolate, which she had with her, ready to dispense! Haha! So I think (hope?) it's a normal thing. durbar square and my in-laws are here! that time we almost died. like last week.